Thinking about buying a new motorcycle? These motorcycle dealers can sell you a new bike already painted with one of our custom paints sets that you can select from our website! We can even custom paint a new motorcycle purchased from one of these great dealers with your own design! If your favorite motorcycle dealer is not listed here, please have them contact us so we can arrange to paint your new bike for you. 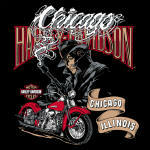 Big Sky Harley-Davidson & Buell - Your Leader for New & Used Harleys! Dallas Harley-Davidson... We Love What We Do!